As a 21-year-old college graduate when he first came to Texas in 1835, Tom Green was no doubt one of the most schooled of all Texans. Over the next twenty nine years in Texas, he would also prove to be one of the most courageous. Green was born in Virginia on June 8, 1814, but moved with his family to Tennessee at an early age. In his youth, he attended Jackson College in Tennessee and Princeton College in Kentucky before graduating from the University of Tennessee. Then after studying law for about a year, he left Tennessee to join the Texans in their struggle for independence. In Texas, Green entered the Texas army at Nacogdoches, only a few months before the Battle of San Jacinto. At that historic battle, Green helped man one of the "Twin Sisters" artillery pieces. In the new Republic, Green served as clerk for the House of Representatives for the first terms of Congress. He was then elected to represented Fayette County in the Fourth Congress. In addition to these "desk jobs", Green served the Republic in several of its more militant struggles. He participated in several frontier skirmishes with the Indians, and accompanied General Alexander Somervell to Mexico in the ill-fated Somervell Expedition. In the Mexican-American War, Green raised a company of volunteers and served under Jack Hayes regiment in the taking of Monterrey. He then settled back into a relatively sedate life during the early years of statehood. During that time, he married, began a family, and served as clerk of the Supreme Court of Texas. Green entered the Civil War as a colonel in the brigade of General H. H. Sibley. Early in the War, the brigade saw service in New Mexico. On January 1, 1863, Green was back in Texas and led the forces on board the two Texas "cottonclads" used in the Battle of Galveston. 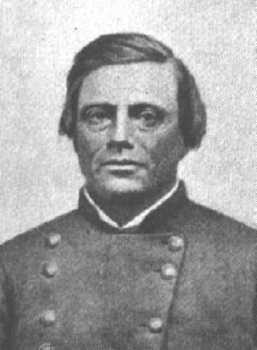 After the success at Galveston, Green and his men participated in several major battles in Louisiana, including the Battles of Mansfield and Pleasant Hill in early 1864. Then, on April 12, 1864 at the Battle of Blair's Landing, he was killed at short range by the cannon of a Federal gunboat on the Red River.